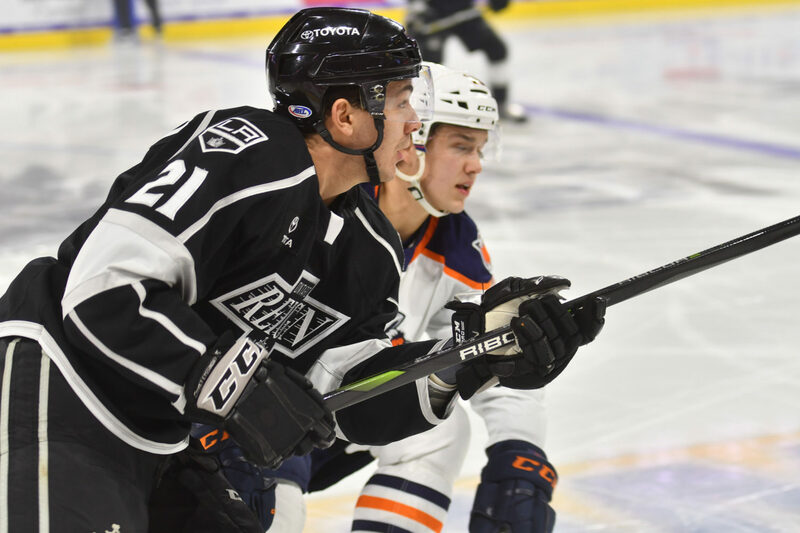 The Ontario Reign moved above the .500 mark on the season after a 3-2 victory over the Bakersfield Condors on Thursday morning at Rabobank Arena. 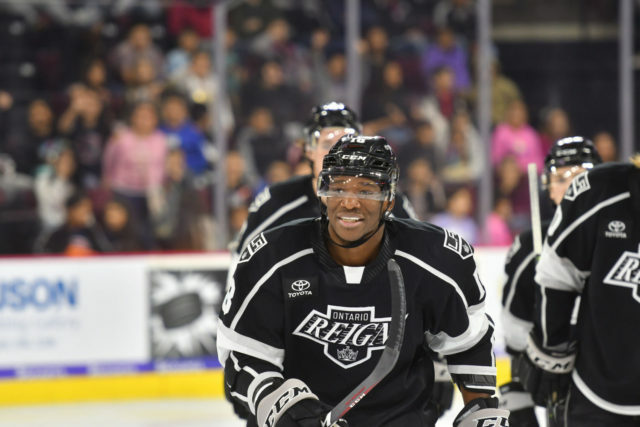 Boko Imama scored for the second straight game with the game-winning goal, while goaltender Peter Budaj made his return to the Ontario lineup with a 35-save victory. 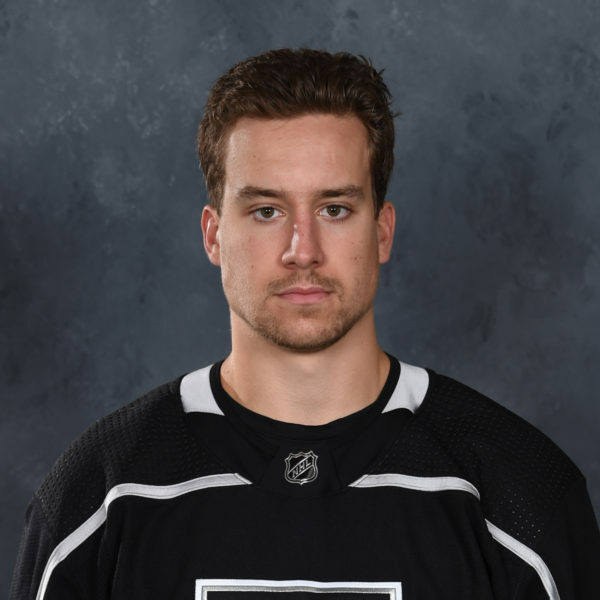 Bakersfield opened the scoring 4:38 into the middle stanza on a nice individual effort from forward David Gust, who deked to his backhand and beat Budaj through the five hole. 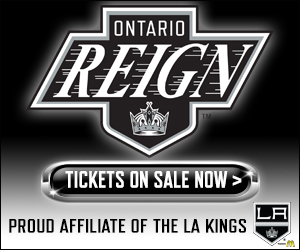 The Reign then stormed back with a pair of power-play goals, the first a 5-on-3 tally to knot the score at one. 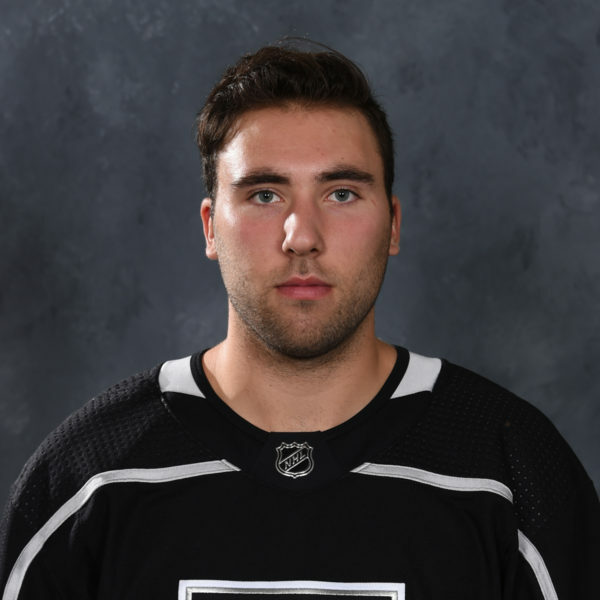 With Ontario up by two men, Sean Walker fed Matt Moulson for a one-timer and the alternate captain buried it, popping the water bottle for his sixth tally of the season. 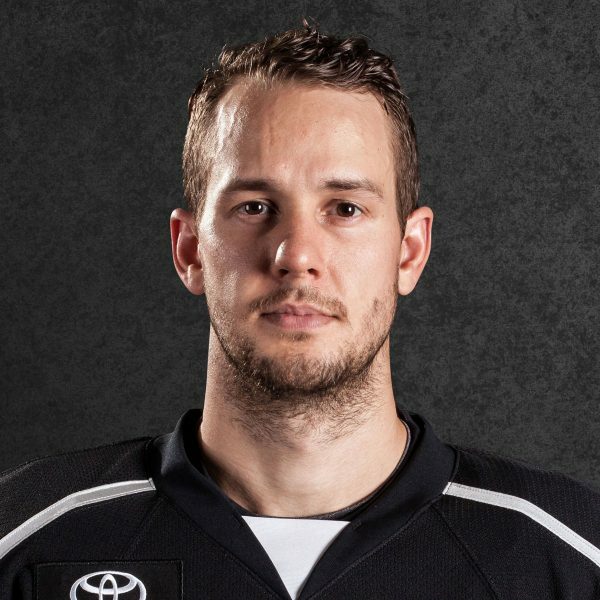 With less than four minutes to play in the middle stanza, the Reign took their first lead of the evening, courtesy of defenseman Matt Roy. Roy, stationed at the center point, fired a slap shot through a crowded net front and in for his fourth goal of the season. With the tally, Roy now has ten points (3-7-10) over his last seven games played, including four multi-point games in his last six played. Ontario got a much-needed insurance tally early in the third, courtesy of Imama, who scored for the second straight game. 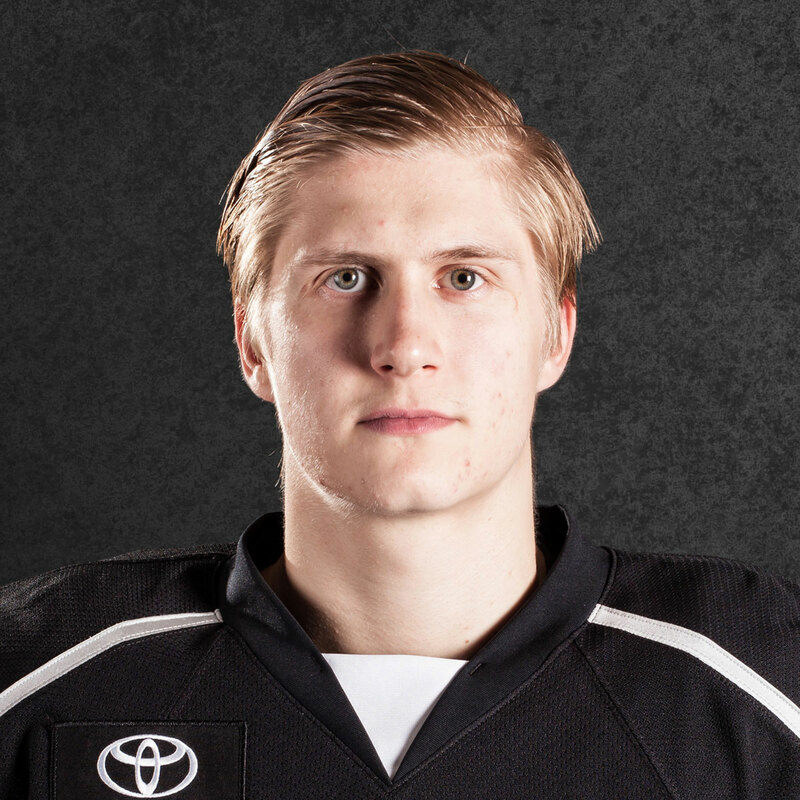 After forward Sam Kurker carried the puck into the offensive end, it fell to defenseman Alex Lintuniemi behind the net, where he fed an uncovered Imama in the slot and the bruising winger buried his shot for the 3-1 lead. Bakersfield pulled a goal back just inside of eight minutes to play as it scored a power-play goal of its own. A tic-tac-toe passing play wound up on the stick of Mitch Callahan in front for a tap-in tally, his third goal of the season. 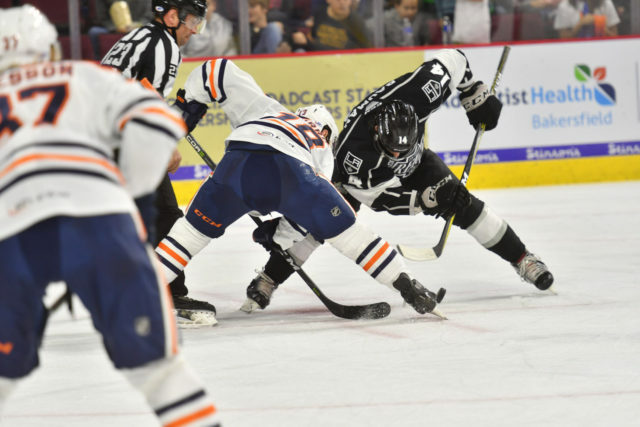 The Reign were tested down the stretch, to the tune of 13 shots in total in the third, but Budaj and his teammates stood tall to earn the victory. Ontario now travels to Stockton for a Friday evening showdown against the Heat at Stockton Arena. Puck drop is slated for 7 PM. Well, it feels good, but there’s not much difference between the way we started and where we are now. I thought we played some decent games at the start, we weren’t getting the wins, and now I think sometimes we can play better and we find a way to get points. I do like the direction we’re going, I like the guys in the room, I like the character. They’re starting to be rewarded for being a little bit more responsible in all areas on the ice and embracing their roles. It’s been good, but it’s been a challenge too, I mean we’ve had a lot of movement. 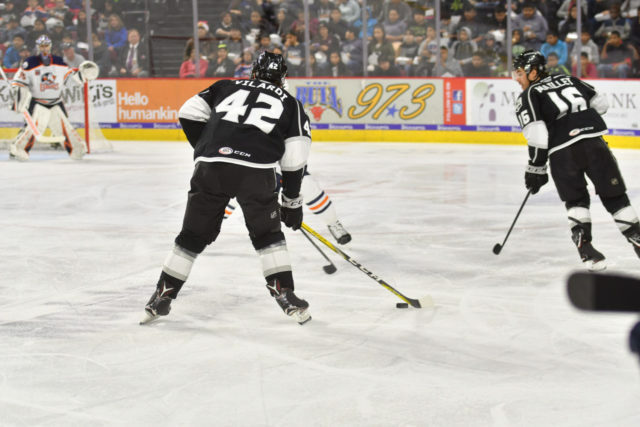 The lineup is seldom the same from practice to practice or game to game and that’s part to learning to play in the American Hockey League as well. I’m happy with where we are right now and happy with how we’re playing. Can we be better? Damn right we can and we will be. I’ve seen Buuds play some darn good games for us and it doesn’t surprise me at all. He’s a veteran and he’s here for that purpose, to give us a reliable game. When there’s some mistakes in front of him, he’s there to help us out. It was hard for him too, he hadn’t played in a while in a full game, there’s been a lot of ups and downs for Buuds as far as movement this year too. Definitely. They came out pretty strong and they had some big chances at the beginning but our guys were doing a good job of keeping them to the outside. I was able to see some pucks and make some saves which kind of brought me into the game, which was good. I think there are differences between now and when I was here at the beginning of the year. I think we’ve progressed, gotten a little bit of experience. 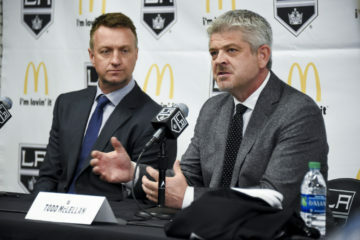 It’s definitely a different game than [the younger players] are used to from juniors, it’s a man’s game, so we had to adjust and they’re doing a good job. I think the coaching staff is doing great and guys are working hard. They’re definitely improving and that’s what you want to see. It’s great, it was a big two points for us and it’s a big road trip for us. We can catch up to a lot of teams and make up some ground that way. We just have to worry about one game at a time and try to win that game. It felt good to get a win and it felt good to help the team win a game. This is a great group of guys and we have a lot of fun when we win, so it’s great. We started of a little slow, I’d say, but the second and third periods we were really good. We managed the puck well, we got it deep and we played in their end a bit more. In the first period, we were maybe a bit tired, early game, but we woke up in the second and third, they were really good periods for us. Coach just told us to wake up and that we’re a better team than this. We just said in the room, “let’s go out there and play” and we did that for 40 minutes.